Don't interrupt your design workflow with manual timesheets. Use Hubstaff to save time and energy with our mobile and desktop time tracking apps. 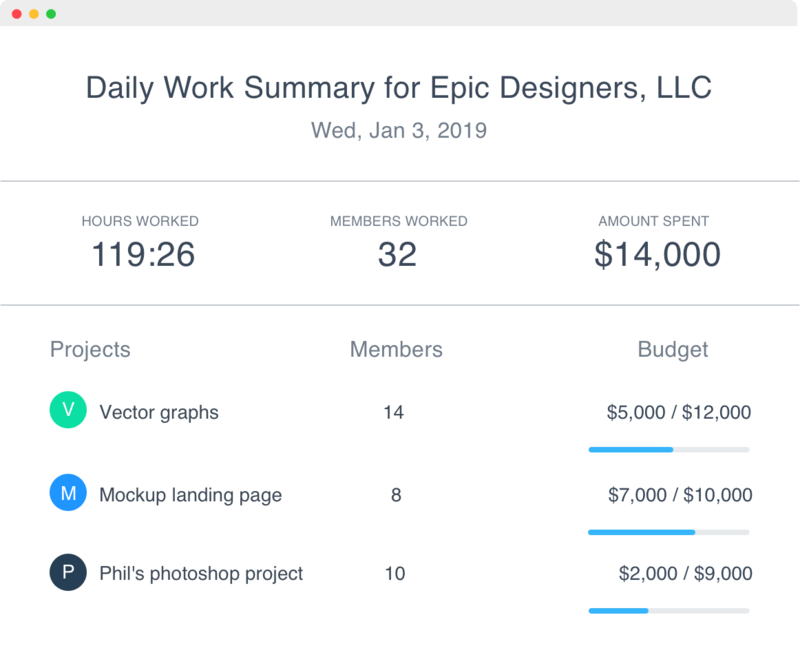 Set budgets for each client or project and get automatic alerts as you approach limits. No need to check in — we’ll track it for you. 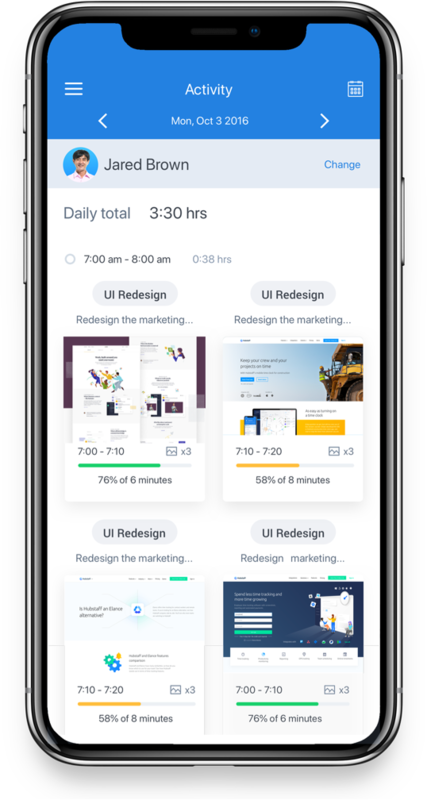 Stay in the loop with your team of designers, writers or freelancers with Hubstaff's built-in productivity features, such as optional screen capture, task management and project budgeting. 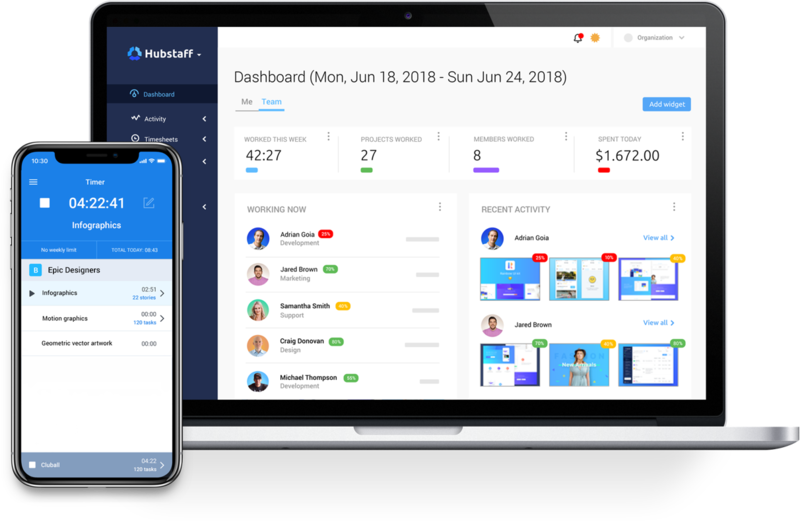 Hubstaff was made for remote design teams to help streamline time tracking, budgeting and payments so you can focus on what you do best. Set bill and pay rates for each team member to automate payroll. Then use timesheets to generate easy invoices. Detailed reports, real-time insight and daily emailed recaps give you a clearer picture of hours and investments for each project.